Momentum is tangible. It’s an energy that fills a room. 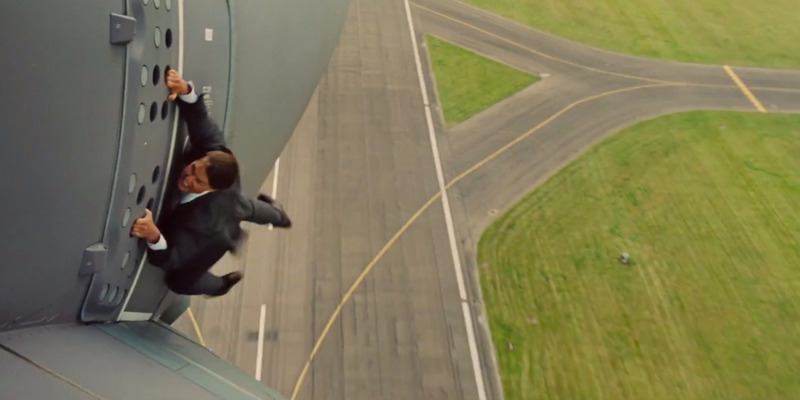 You can give the shittiest pitch to an investor, but it won’t matter if you’re like Ethan Hunt latched on to a cargo plane that’s taking off. My last post was about the struggle. Startups start at zero. Problems will hit you left and right like walking through a minefield. The goal is to get from one milestone to the next in one piece. Setbacks may hurt your momentum, but not forever. Creativity can turn setbacks into opportunities. The hardest thing about momentum though, is getting the ball rolling. Especially if you are getting the ball rolling a second or third time. Once rolling, it’s much easier to pick up speed. One way to break the standstill and gain momentum is to hitch a ride on someone else’s speeding train. I’m talking about strategic partnerships. Unfortunately, nine out of ten partnerships I’ve made for Roost have fizzled out like a Tinder relationship. This has likely happened because of the superficial nature of the partnerships. Each partner was more focused on their core business than the partnership itself. Cross-promoting discount codes in email blasts may spike sales, but it won’t sustain growth. A true partnership must involve a piece of each company’s core business. Core business partnerships need one partner to actually use the others’ product or service. Money should be exchanged. When you involve cash, you care. People follow through. How do you go about building these partnerships? First, identify organizations or individuals that could walk the line between partner and client. A pure client pays for your product, while a pure partner builds something with you. Find an organization that wants to create something new with you or vice versa. Make sure you use your product to do it. Money gets involved from the beginning. Your product is crucial to the success of the partnership. This builds momentum. Next, make sure to treat these partnerships like actual friendships. Meet for a beer! Go to dinner! Nobody does this anymore, and it’s damn refreshing when it happens. A partnership will likely fail if the parties aren’t even willing to meet up in person. For a young startup, it also helps if that partner is a much bigger and more successful company. Two small startups partnering up won’t move the needle, since neither have momentum. Roost has partnered with a ton of organizations. Most of those partnerships led only to content creation (not our core business). We had one partnership with a vacation rental management company that involved using our platform… The company wanted to list their clients’ non live-able space on Roost. The relationship seemed promising at first, but ultimately failed because their train was going just as slow as ours. 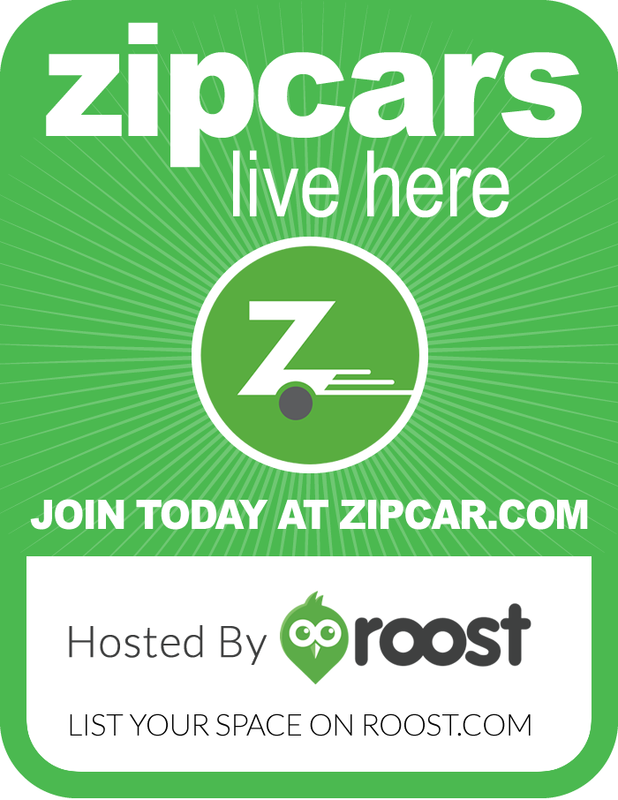 I’m pumped to announce that Roost has jumped, James Bond style, onto the speeding trains of Enterprise CarShare, Zipcar, and Getaround. Each of these companies wants a piece of our core business: residential parking spaces. Finding residential parking spaces in garages and driveways is what we do best. To start, we offered them our existing inventory. Now we are on the hunt for more parking spaces on their behalf. With these partnerships, we have solved the demand side of our marketplace. This has allowed us to put even more resources into supply acquisition. 1) All these car-share companies need the same types of spaces and will pay the same amount. 2) As long as they get paid, our hosts don’t care which company rents their space. 3) All transactions happen on our platform. No exceptions. (core business). 4) These companies want to grow… so do we. We can grow together. 5) Check out our rad sign. Thats a hell of a shoutout. We have a similar sign with Enterprise Carshare. Roost’s new partnerships wouldn’t have happened without so many failed ones under our belt. I’m thankful for the lessons learned, because I may have bungled these new opportunities otherwise. If a partnership presents itself where the other party does most of the work, don’t turn it down just because it doesn’t involve money. Make these educated decision, and don’t be afraid of failure… after all, you probably don’t have too much to lose. Use some “educated recklessness”. As a startup, signing a deal with a big company is like getting money from a top-tier VC. It’s not easy. A startup can make the decision in half a second. A big brand will take WAYYYYY longer because of bearucracy. They’re probably evaluating each of your competitors too. But if you do get the win, morale increases, energy levels rise, and the ball gets rolling. It feels incredible. That feeling is momentum. Find this valuable? Want me to keep writing these? Please recommend this article. Dont forget to stay tuned for chapter 5, where I will probably be talking about fundraising and the launch of our brand new platform and mobile app. Oh, and if you have or need storage or parking spaces anywhere in the US, use the code: MOMENTUM$ and we’ll throw $50 into your account.